How real wars shaped Killzone's red-eyed "Space Nazi's"
It has been more than 15 years since Dutch developer Guerrilla Games started working on Killzone, the blockbuster shooter franchise for Sony Playstation. Since 2004, six Killzone titles have been released on PlayStation 2, PlayStation 3, PlayStation 4, PlayStation Portable (PSP), and PlayStation Vita. 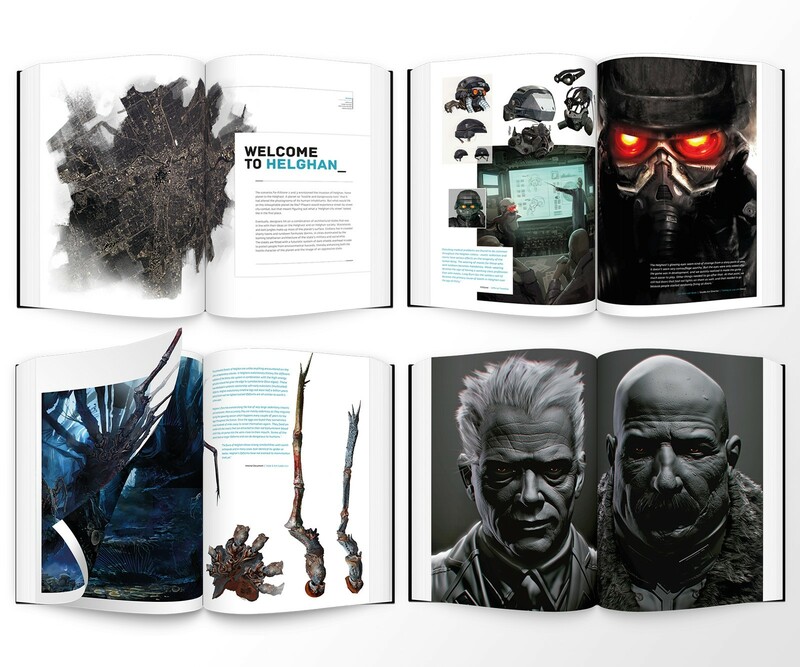 Our book Killzone Visual Design: Celebrating 15 Years of Killzone is the first comprehensive overview of the visual development of the million-selling Killzone video game series. As the designers started working on ‘the enemy’, they researched various aspects of totalitarian states, their military, and societal structuring, as well as their geopolitical outlook. But when pens were put to paper (literally, as digital concepting wasn’t around until much later), it was mostly German uniforms and Stormtrooper helmets with sharp SS-like markings that appeared. Early cannon studies share a silhouette with German flak guns; science-fiction dropships and hovercrafts showed distinct Nazi-era camouflage patterns. Looking at the earliest game concepts, you can’t help but notice how much the designers were at home with the visual style of the 1940s Wehrmacht, the foe that had crushed their country half a century ago. And then, over the course of a creative process to find the right type of foe for their game, someone drew a pair of World War I-era goggles on a soldier’s face, over a World War II-era Russian oxygen mask. No one gave it a second glance, until early game testing got under way and test players complained how enemy soldiers were hardly visible against some of the backdrops in the game. To overcome this issue, someone made the goggles a bright reddish orange, and invented the series’ iconical bad guy. The ‘Helghast’ soldier–informally dubbed the ‘space Nazi’–was born. The word ‘Helghast “was found while playing around with the Dutch-Germanic word ‘gast’, which means ‘guy.’ That basically makes the Helghast (plural) ‘guys from hell.’ ” Their counterparts are ‘ISA soldiers’ fighting for a NATO-like ‘Interplanetary Strategic Alliance.’ They roughly resemble the colonial marines from the earliest concepts, and are clearly styled after WWII Allied forces. Ideas about ISA and the Helghan people and society were combined into a strong, all-encompassing design. For example, the different ISA and Helghan weapons were grafted on ideas about the respective ideologies on both sides. The ISA world was seen as a future version of today’s ‘free world,’ with its liberal market economy and ‘open’ societies that provide easy access to high-end technology and innovation. The ISA military, it followed, works with private contractors that rely on innovations to outsmart commercial competition. In contrast, the Helghan world was a futuristic version of the oppressive regimes of Stalin’s USSR or Mao’s China, as well as Hitler’s Germany. Helghan troops thus carry guns from state-owned companies that pour out as much hardware as they can, without much attention to detail or user safety. Soldiers are disposable, guns are practical: whereas ISA machine guns tote high-tech electronic scopes, some of the Helghan weapons have a bare metal, V-shaped wedge welded to their barrels as sight aim, with a splash of red paint on them to improve visibility. 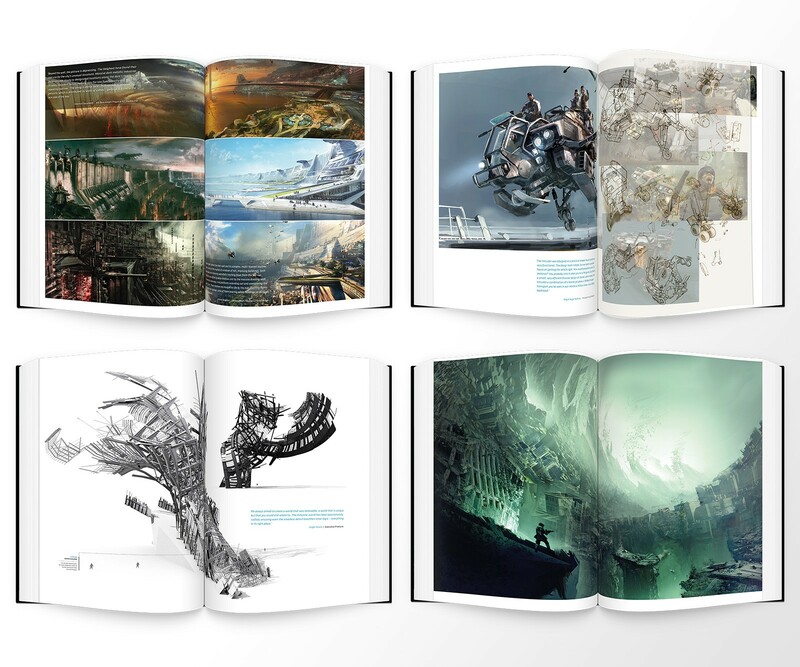 Read – and see – everything on the design philosophy and concept art behind the Killzone franchise in Killzone Visual Design, available as standard hardcover, and limited collector edition.